Search all houses for sale and real estate listings in Malibu, CA. Malibu sits on the western edge of the Santa Monica Mountains in Los Angeles County. It includes three principal areas; an amalgamation of small communities near the beach (City of Malibu) and two unincorporated areas further inland. The City of Malibu contains subdivisions and neighborhoods that comprise the coastal community. Residents enjoy quick access to beaches, parks, and a few small commercial areas along the Pacific Coast Highway (Highway 1) with stores, restaurants, and boutiques. The two unincorporated areas of Malibu -- in L.A. County and Ventura County respectively -- are rural. Country homes in rural Malibu typically include significant acreage. First-time visitors to Malibu quickly come to understand how rural and quiet it is. The ever-present surf culture reminds residents to slow down and take in the surrounding nature on its own terms. Malibu stretches 21 miles along the coast and up into the Santa Monica Mountains. In fact, it’s pretty far (33 miles) from the hustle and bustle Downtown Los Angeles. One can expect long commute times getting in and out of the area not only from normal weekday traffic but also from weekend tourists who pack the Pacific Coast Highway. Malibu is known for stunning architecture, beachfront homes, and ranches on acreage. Malibu has several small subdivisions and enclaves with single-family homes in a wide range of prices. 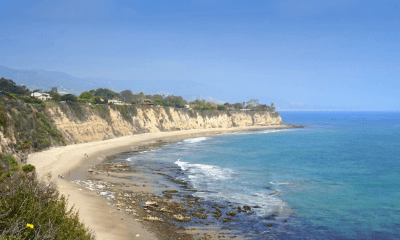 Even though Malibu is rural and remote, folks looking to buy a home here also have a choice to check out several condominium complexes, most of them conveniently located near shopping centers. You can also review exterior features as well as the architectural style of the home. If any appliances or fixtures are included with the sale of the house, those will also be noted. When available, Malibu demographic information will be included along with local schools, neighborhood walkability, and population within the 90265 zip code. This page shows all active Malibu listings (the seller is still soliciting offers). To view active and pending listings (active, but currently under contract), click the 'refine results' button and then check the 'pending' box on the following page. The updated results will then display all homes for sale in Malibu including those whose owners may be accepting backup offers. If you're buying a home, our full-service Malibu real estate agents are at-the-ready to assist you. If you're selling a home in the Malibu area, our listing agents will provide current market data, comparison properties (comps), and a highly-tailored marketing plan to make sure you get the best price for your home. Schools in Malibu are operated by Santa Monica-Malibu Unified School District (SMMUSD).